On 15 May the Inter Council Aboriginal Consultative Committee held an educational tour to culturally significant Aboriginal sites. The day was well attended by community representatives, partner organisations, stakeholders and Victoria Police, as well as Councillors and a Mayor from the ICACC region. 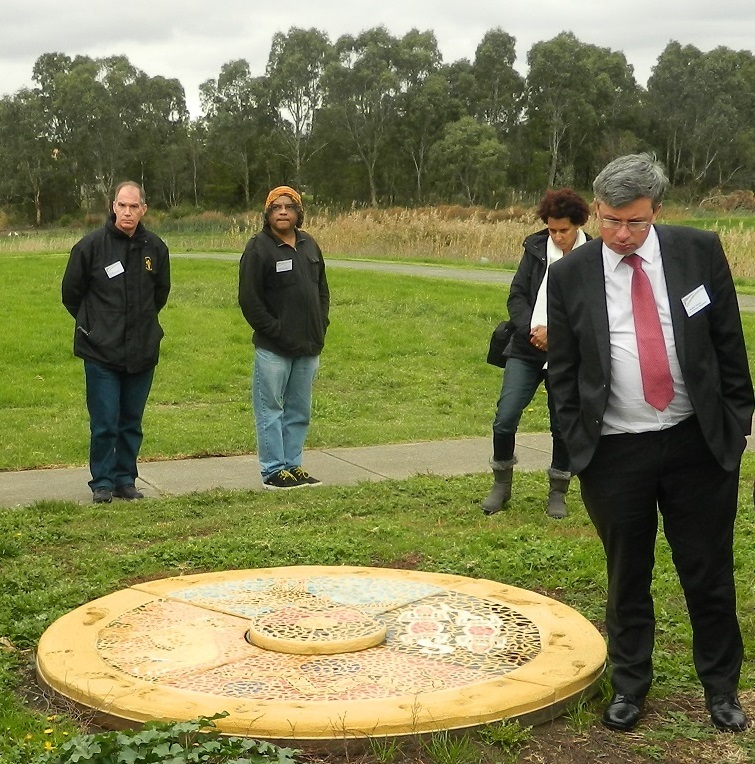 During the morning the group visited sites in the City of Greater Dandenong and highlights included Dandenong Police Paddocks, where Margaret Gardiner explained the significance of the area and its importance to the Aboriginal community. This was followed by a visit to the scar tree in the historically significant Dandenong Park precinct. The afternoon was spent in the City of Casey. Of particular interest was the Lynbrook Estate development which showcased the preservation of significant trees such as birthing and scar trees, as well as regenerated bush areas that were preserved during development of the estate. A visit to the Hampton Park renewal project featured Aboriginal artwork and rounded off a busy and rewarding day. Acting as MC during the day was talented musician Kutcha Edwards. Kutcha was born on the banks of the Murrumbidgee River at Balranald, New South Wales, of the Mutti Mutti people. Kutcha challenged the group with his commentary and his workshop during lunch was particularly thought provoking. The ICACC committee wants to thank Andrew Gardiner, CEO of the Dandenong & District Aborigines Co-operative for his commentary during the morning session. 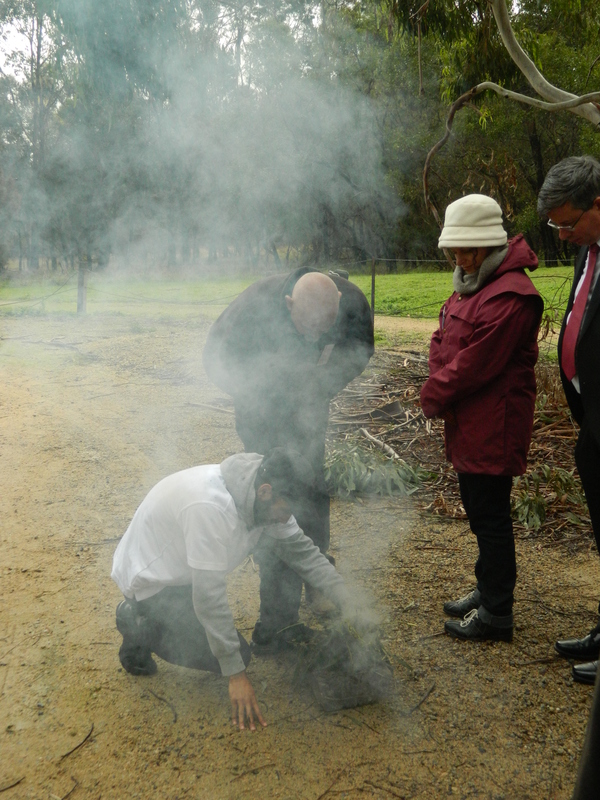 Also thanks to Margaret who welcomed the group to the Dandenong Police Paddocks and Jesse who performed the smoking ceremony. Mandy Nicholson guided the group at Lynbrook and Hampton Park and her local knowledge was extremely educational. The tour was a result of collaboration between the ICACC member Councils, the local Aboriginal community and Victoria Police, Casey Local Area Commander, Inspector Paul Breen. ICACC members are City of Casey, Frankston City Council, City of Greater Dandenong, Bass Coast Shire Council and City of Kingston.